Holger G. Weiss is founder and CEO of German Autolabs. He has over 15 years of experience managing and building technology-driven companies with innovative business models in the Future Mobility sector. He has extensive experience and expertise in the field of connected mobility. He played a vital role in the navigation software startupgate5 in Berlin, from its genesis up to its acquisition by Nokia in 2006. Gate5 was the forerunner for HERE – a map and content provider recently bought by three German car makers at a price of close to three billion Euros. Before founding German Autolabs, Holger G. Weiss was managing director and CEO of Aupeo. Under his leadership, this music streaming startup developed into one of the leading providers of internet-based audio content for the Automotive Industry. In 2013 Aupeo was acquired by Panasonic Automotive Systems of North America. 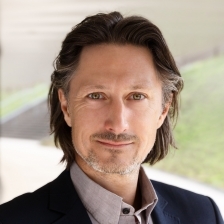 Holger G. Weiss is a board member for various technology companies and also Venture Partner at Target Partners – one of the leading VC companies in Europe. Besides his business activities he is also an enthusiastic mentor and business angel for young aspiring founders. He consults medium-sized companies as well as tech and industry related associations.